It’s all the preschool’s fault (Ok maybe it is the caterer’s fault). Not a Friday goes by without my kids asking for pizza. My kids go to preschool in the morning and I pick them up at noon. They don’t eat lunch at school but most of their classmates do. Many of my 3yo’s classmates bring their own lunch and when picking up Caellum from his classroom I’ve seen such a variety of lunches. One kid always eats dumplings/gyoza and nothing but that. Another usually has chicken nuggets and milk. I’ve seen a kid with rice and a big pile of black fungus. And some really cute bentos too (a couple of his classmates are Japanese). There’s a lot of rice dishes because this preschool is a Mandarin-English bilingual school so a lot of the kids are Asian or mixed. Mostly Chinese (in that I am including Taiwan, China, Chinese-American etc) but there are also Japanese, Indonesian, Vietnamese, Filipino and Indian. But one thing all these kids love is Pizza Friday. And my kids, though they don’t eat lunch at preschool, always talk about Pizza Friday. One Thursday morning, while getting the kids ready for school, I asked 3yo if I should make pizza today. And he told me very seriously, no, tomorrow. Pizza Friday!! Every Friday they tell me it is Pizza Friday. Every Friday, as they leave their classes, the pizza comes in and the teachers dish it out. Nothing wrong with that of course, I LOVE PIZZA too. I especially love those fast-fired pizza places like Blaze and Pieology where you can choose whatever toppings you want for your very own pizza, and you get it within 10 minutes. The best kind of pizza for hungry littles who can choose their own favourite toppings. But really, the best pizza is the kind you make at home. (And that is where I am getting to here, the cooking part, thanks for your patience). I’ve talked about pizza making here before but that’s because I just love it! Smitten Kitchen’s pizza recipe was the one that convinced me I could make pizza at home. She emphasized that pizzas can be baked on a baking sheet and it doesn’t necessarily have to be round. I rely most on her rushed dough recipe (it’s in her book but she’s also got a lazy pizza dough recipe online). It uses quite a bit of yeast to hasten the rising process and thus is doable for a quick weekday dinner. She also has a longer overnight dough recipe but I find that dough from the fridge requires a lot of resting to come to room temp before it can be adequately stretched. I also just attempted the no-knead pizza dough but found it a little bit too sticky and despite adding lots of flour to the dough, countertop, hands etc I spent far too much time stretching it out. It is incredibly easy to put together but does require planning ahead, as all morning-knead breads do, because of its 18h resting time. I also am fond of Smitten Kitchen’s pizza sauce. 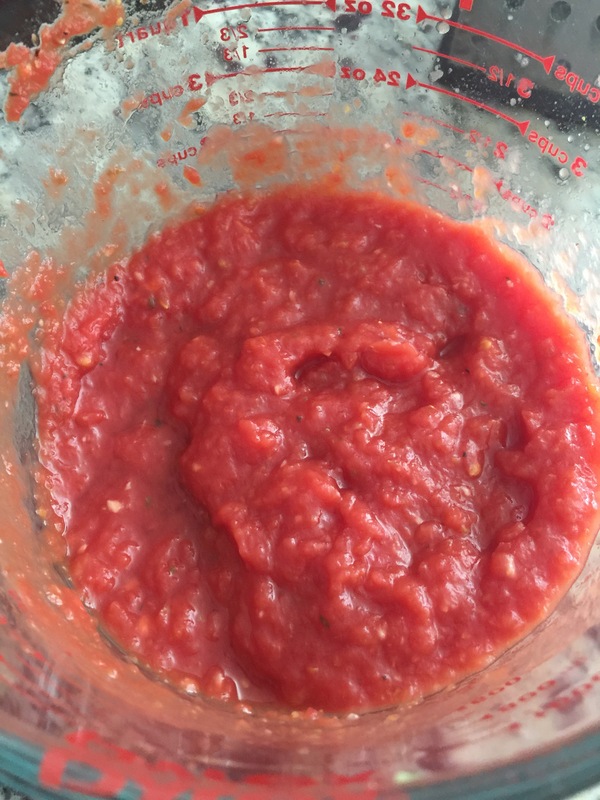 Open a can of tomatoes (I use chopped tomatoes), strain it – that is, I pour it into a sieve and let it sit for a while. A lot of liquid emerges, and that would really thin your sauce if you don’t get rid of it. So strain strain strain! Add a chopped garlic clove, season it, a bit of Italian herbs, a splash of red wine and a bit of sugar to brighten it up. Then blitz with an immersion blender. It’s fresh and tomato-y and does not need cooking. Also prob a lot less sugar than commercial versions. And now for the toppings! I love how varied pizzas can be. I’ve had Japanese-style pizzas with unagi (eel) and mayo (! ), dessert pizzas, and a local pizza place here is known for their cheeseburger pizzas and Philly cheesesteak pizzas. And of course there’s the cheese. Typically I do a mix of whatever I have in the fridge there’s usually cheddar and sometimes parmesan and I always buy a block of low-moisture mozzarella when I’m making pizza. But at Blaze and Pieology, I like to add blue cheese, sometimes feta or their softer mozzarella (although that tends to make for a soggier pizza). What are your favourite pizza toppings ? Next Post → It’s Monday and I’m hoping this will be a healthier week for everyone! We make homemade pizza quite a lot around here — I especially like to grill it. We tend to like the thicker American-style pizza sauce, but I’ve used a similar sauce the Smitten Kitchen one when I don’t have our usual one on hand. We generally keep our pizzas vegetarian, though I have no objections to a little meat. That looks so good and you have now motivated me to make pizza this upcoming weekend. Homemade pizza is always the best. I also enjoyed hearing about the pre-schoolers lunches. Gasp! No onions?! I love most of the toppings you mention not liking, though we’re usually boring here–the girls prefer cheese and Scott is happy with just pepperoni. BORING. 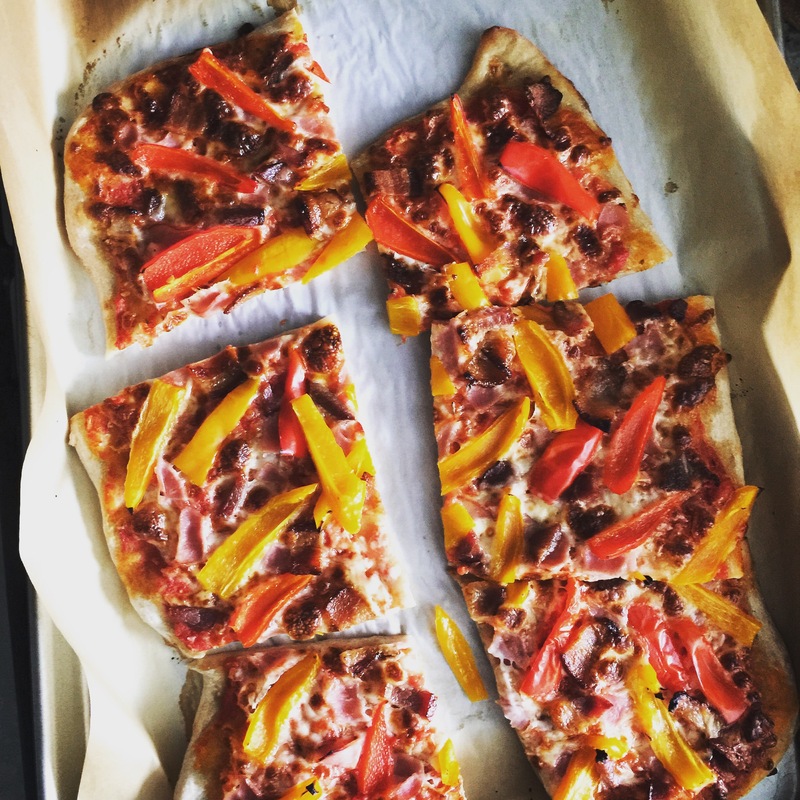 I haven’t made pizza since Elle was little…I think we should start implementing Pizza Friday! Sounds like a great tradition. Your pizzas look great! Terrific topping choices. I like the idea of Pizza Friday because, of course, there’s such thing as having too much pizza in one’s life. Having it boxed into one day makes it a treat that doesn’t come around too often. I like seafood a lot, but have never seen pizza as the correct place for it. Have you tried using a rolling pin with your dough? That makes the stretching process really quick. I used to have lots of problems with that. 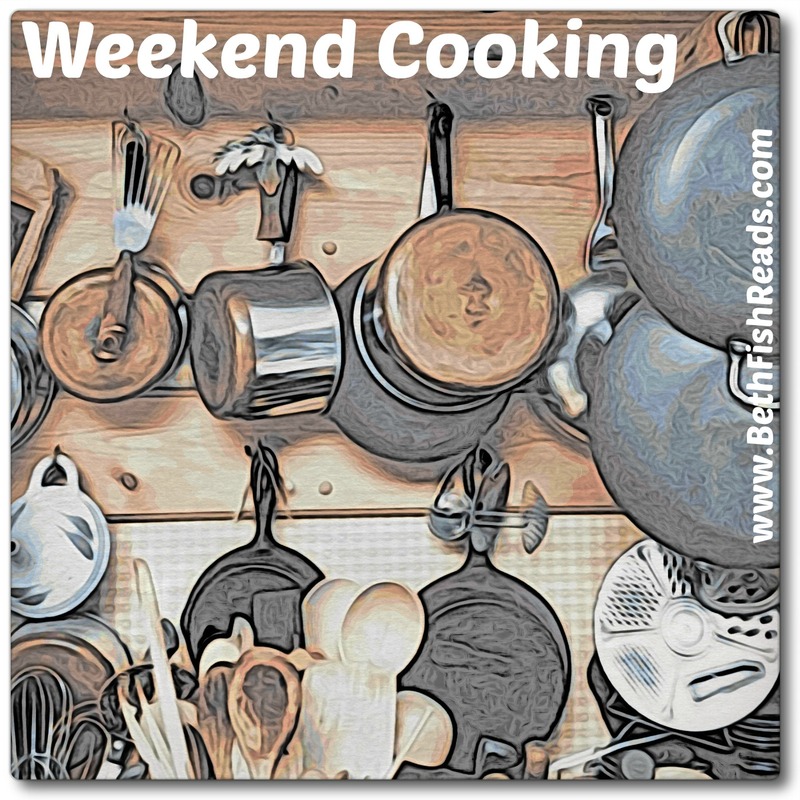 I also make Deb’s, the slow version usually, in a cast iron pan, which recipe eliminates the rolling out or stretching, as you smoosh it into the oiled pan. Very easy, and my favorite toppings are asparagus and mushrooms with smoked mozzarella and a bit of pepperoni. No red sauce for me. That all looks positively delectable! Yumm. I also adore artichoke, so I always ask for artichoke hearts when I buy pizza. I’ve never made my own pizza before, though 😦 It sounds fun. I’m a pepperoni and mushrooms girl. I love mushroom pizza. But my older boy detests mushrooms! It seriously is easier than it seems!